The deal is actually 10 nuggets for $1 but that hasn't stopped people from starting the #100nuggetchallenge because it's October and we haven't had enough 2018 challenges yet. Remember the good ol' days? Remember the Harlem Shake? Or the ice bucket challenge? Ooh, what about the mannequin challenge? Or just earlier this year when everyone was doing the Kiki challenge? Well, 2018 is almost over but that doesn't mean we can squeeze in another challenge before the end of the year. 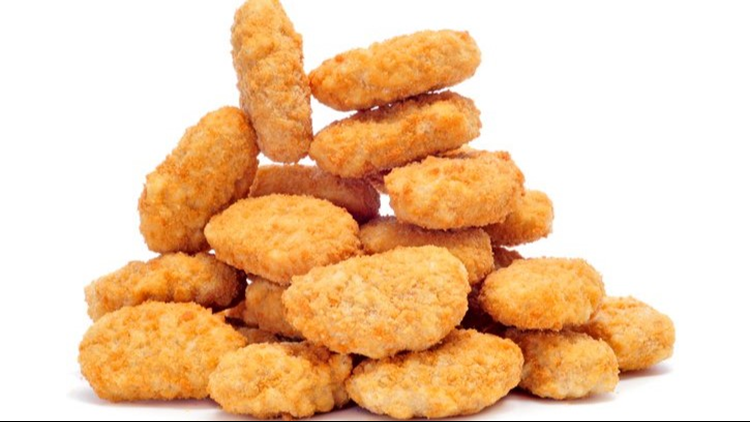 Burger King has dropped a fried nuke on the perennial fast-food wars that have plagued America since at least the '80s: they're selling 10 nuggets for $1 (which, BK fans will remember, is much better than their 10 nuggets for $1.49 deal). If you can get 10 nuggets for $1, then grade-school math would posit that you could get 100 of them bad boys for $10. And now it's a thing. But unlike the Kiki challenge clogging up your timeline just a couple months ago, this challenge is decidedly better. It's still in its infancy, but this web writer would not mind it if it caught on. Twitter user @DarrionDaDon_ posted a video about 1 p.m. of his #100nuggetchallenge. He went to his local BK, ordered 100 nuggets, and then passed out packets of 10 to people in his community in Chicago. Burger King's Twitter account kind of kicked off this specific challenge when Darrion tweeted at them earlier in the day praising the 10 nugs for $1 deal. After they challenged him to go for 100, he did. And he gave them out. If you'd like a smile - check out the pair of videos below. And for his kindness, it looks like Darrion will be getting a little something from the fast-food giant. More challenges like this - fewer challenges that feature people running alongside their cars to Drake making heart-shaped gestures with their hands, please. Anyway - starting on Thursday you can get 10 nuggets from BK for $1. Or 20 for $2... and so on.